So, this new book I’m gobbling up has me thinking a lot about the locality, seasonal freshness and nutrition, and carbon footprint of the food we eat here at the Lazy W.
This morning I took my notebook into the kitchen and made a quick inventory of everything we had stocked between the freezer, refrigerator, pantry, and fruit bowls. I also tried to write down as many of the things we buy throughout the year that happen to not be around right now. This list was staggering. We are just two people, you guys, and the volume and variety of foods we keep near us seems gluttonous when viewed as a whole. I mean, really. Beyond that, I was more than a little shocked to see how much processed junk still lingers within our walls even after so many attempts to clean up our diet. But the point of this exercise is not chastisement and guilt trips but rather growth and improvement, so onward we go! 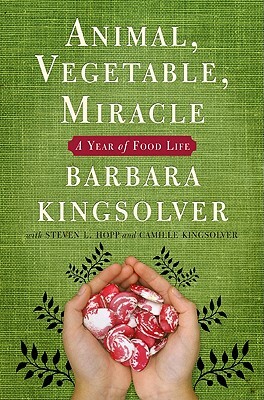 The next step of the exercise inspired by Barbara Kingsolver was to examine which of our food stuffs is or could be produced more or less locally. I skipped the “is” question because deep in the recesses of my cheap skate shopping mind I already knew the answer. Let’s just say that I gravitate toward off brand labels. Lots of bright yellow boxes in my pantry, folks, and I am not really ashamed of that. But the “could be produced locally” question was exciting. This was yet another time when being a native Oklahoman filled me with pride and gratitude. My home state is rich with agricultural bounty, so even those items which I myself have not grown or produced, I felt sure I could find them (or most of them) in some way nearby. I sat down with a cup of hot coffee and, trying to ignore the guinea fowl chirping noisily at the window, began marking which of the 115 items* on my list could be moved from the shopping list to the production plan. It was as much fun as circling items in the seed catalog! *Note: Many of the 115 items I listed are just categories of things we buy. that I found it counterproductive to list every single thing. in pursuit of flavor or convenience or both. Okay. My specific personal lists and plans may be of little interest to you this early in the morning, but I will say that the list of 115 store bought items was easily whittled down to 51. 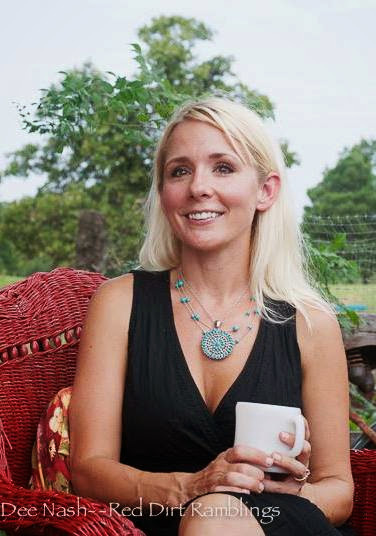 I found 64 edible items that could be produced here at this hobby farm or sourced right here in Oklahoma! Still more that remains on the list of 51 could be eliminated for the sake of efficiency, but that’s a task for another day. I definitely encourage you to try this exercise yourself. It is fascinating to realize how many wonderful edibles can be grown, produced, or culled right from your own back yard! Search out other local producers with whom you might do some old fashioned bartering. Visit your farmers’ markets when they’re in season. Find a local orchard. Examine the meat markets. These are all steps we can take toward healthier diets, more stable growing environments, and economies that are ever so slightly less dependent on fossil fuels. Plus, the pleasure of growing your own food is a known stress reducer, and gardens are proven value boosters for homeowners. Wow, I have no trouble at all finding a soapbox in the morning! Sheesh. We have snow on the ground as I write this morning. It is perfectly beautiful, and it is providing some much needed moisture to the pastures. But it also means I won’t be scooping manure or filling raised beds today, which is where my heart kind of sits. Perhaps this will allow some extra time to catch up on other worthy pursuits. All good things are seasonal, after all. Whatever Your Passion, Dream Big! This morning I opened our refrigerator to start the normal breakfast prep and pack a lunch for Handsome. Despite the dark, artsy fragrance of coffee brewing a few feet to my left, despite the clean, cold freshness of the tile floor beneath my bare feet and the calm black of the sky outside my kitchen window, I was suddenly and unpleasantly bowled over by an offensive, malodorous wretchedness billowing out from my side-by-side. If this smell had a color, it would be green. Putrid, slimy, witch’s brew-with-eye-of-newt green. Grody. Like, gag me with a spoon grody. I did a quick investigation and found, to my eternal dismay, that I am a hoarder of romaine lettuce, garlic cloves, and spinach leaves. Oh, and also lots of other things, but those were not the stinky headline this morning. The odor instantly rearranged my priorities for the day, because I absolutely will not live with gross smells. So now, as I write this, the refrigerator has been emptied of nearly everything, even though only a few things had caused the problem. A giant chicken bowl full of donatable goodies, some sudsy hot vinegar water, and a vanilla candle later… and once again all is right in Denmark. The kitchen and the fridge smell lovely, and I am free to go purchase more romaine lettuce, garlic, and spinach. Okay, not to get overly philosophical on this rainy Friday morning with a cup of coffee in front of me… I mean, seriously, I might as well be in a book store, wearing a knit hat and fake horn rimmed glasses here… but this morning’s unexpected domestic task could not have come at a better time for yours truly. Living with a dysfunction or some measure of pain can only be tolerated for so long before the source has to be identified and dealt with. Coping mechanisms and forgiveness and such are eventually only effective as healing balms for after the problem is solved, and I just don’t think we can expect ourselves or our loved ones to always find the energy needed to overcome a deep pain with average, daily acts of love. Don’t get me wrong… I am in full support of average, daily acts of love; it’s pretty much my favorite thing ever… but maybe you know what I’m talking about. Maybe you too have a deep pain which you are generally able to suppress and live with but which inevitably resurfaces and disrupts all of your peace and tranquility. All I’m suggesting here is that once in a while it’s wise to take an honest inventory of both your refrigerator and your heart and deal with the slimy lettuce. Because it stinks. And when you open either door, nobody can stand the smell. And no sir, I did not take photos of the malodorous carnage. Besides, the chickens have eaten most of it by now. and You Can’t Febreeze Major Appliances. I have visited two wonderful grocery stores in two days and have finished all of my truly important household chores for the week. I have scoured our calendar and my recipe collections for fabulous ideas and excuses to enjoy them. And tomorrow I have exactly ZERO reasons to leave the farm. To paint the picture a little better, let me say that I have a pantry and refrigerator packed with delicious ingredients and a Friday, in a clean house, all to myself. Okay. So, there are at last count nine incredibly tasty dishes on the Lazy W horizon this weekend. Tomorrow Handsome is taking the ole stand-by apple tart to an office food day. The fine ladies up there organize nearly a month of festivity every December, including Dirty Santa games and “Days of Christmas” food days. YUM and FUN. Everyone up there works so hard; no one deserves an extended party more! The apple tart is from Edie’s Life in Grace blog, which is a beautiful place to land for a thousand reasons. The only thing I do differently is skip the glaze. We like it on the crispier side of life, and the glaze makes it less crisp. I can make this in my sleep now, Handsome requests it so often. 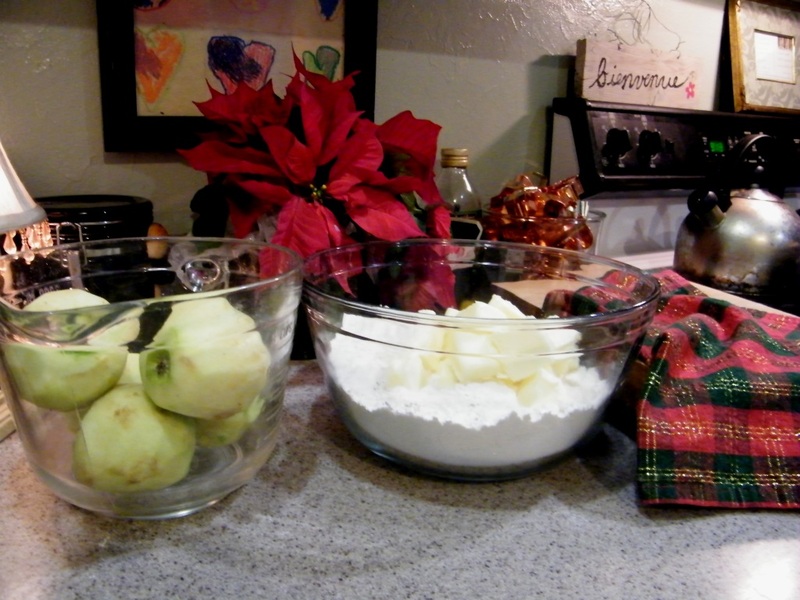 5 apples, 4 cups flour, 3 sticks butter, 2 cups sugar, spices. Bam. Then for a Christmas party we’re attending Saturday night I’ll make our fave chocolate fudge cake and a big batch of roasted olive dip. Maybe I’ll try to nail down that olive dip recipe and a few photos in case anyone’s interested. It is purely addictive. Salty, creamy, tangy, garlic-ish, olive-ish, and mouthwatering whether warm or cold. Addictive. For dinner Friday night I’m trying a toned-down Lazy W version of Giada’s minestrone soup. Naturally this calls for crusty bread and green salad. Please, if we are truly friends, do NOT warn my husband of this menu plan. Let him be surprised. I promise to tone it down. Way, way down. And I promise to have a back up plan like Fettuccine Alfredo. I have a feeling if he balks at the soup, it will be divine enough for me to finish all by myself. I’m a good sport like that. Also a batch each of these browned butter cookies and some chocolate-chip walnut biscotti. It seems we are a week away from Christmas and I have lots of shopping still to do, so having cookie dough ready in the freezer will be nice. Three quickly deteriorating bananas tell me we’ll also have banana bread in the oven tomorrow. And a special young man at church keeps reminding me to bring peanut butter cookies. 1 cup of PB, 1 cup of sugar, and 1 egg. and roll each ball in a bowl of sugar. Dip a fork in the sugar and criss-cross each ball of dough. Bake for about 20 minutes at around 350 degrees. then on a wire rack completely. I will not even need Scentsy tomorrow, you guys. It’s gonna smell so good in here. I plan to finish the outdoor chores super early, take a shower, and put on some good music. By lunchtime this place should be aromaticizing. Lilting with fragrance and warmth. If and when you do need Scentsy, though, my gorgeous and dry-witted cousin Jen just started peddling the heavenly stuff! You can order online here and I think if you order by December 19th you can count on Christmas delivery! Is it healthy to be this excited about a cooking day? If I finish when I expect to, there will just enough Friday left for me to finish a really special sewing project for an old friend. Then the frivolous, calorie-laden weekend will begin! The morning sun gleams through the east window, gilding the remains of last night’s dinner party. Furniture sits in odd places, having been scooted into spontaneous pairings for old friends to whisper secrets and for new friends to get acquainted. The fireplace is void of flames now but overflowing with warm ashes. On the wood floor I notice errant napkins, crumbs, and beautiful smudges from spilled drinks. I walk through the glorious chaos to the kitchen, where the only clean spot is what space has been cleared for morning coffee, which waits for me hot and fragrant and loyal. After a party I am always tempted to leave things in diarray for a while, so we can visually soak up the treasured vibrations of friendship and love. Sometimes I am more anxious to get photos of the aftermath than of the event’s set up. I cannot agree that a good party ever leaves a home spotless, whether hosted for children or adults. The mess is a small trophy for me. Since daily life goes on, the cleaning must ensure. But I don’t think of it as removing something dirty or righting some wrong done to my home. Instead, while touching each item I try to gently press the good memories into our surroundings. While pacing through the affected rooms, collecting dirty dinner plates and drinking glasses, scooting couches and chairs back to their every day positions, and fluffing up plants, I imprint into our domestic conscience the laughter and energy of every one of our beloved friends and family members. As I wipe clean the smudged tables I am actually polishing them with the smiles we traded the night before. We feel so lucky to be surrounded by good friends. They make us wonderfully disheveled. without offering up Heloisian tutorials..